We live in an era of fast fashion and assemble-it-yourself furniture. And I’m not complaining — I love the IKEA desk from which I’m working at this very moment, and although I do have some nicer pieces in my wardrobe, those pieces are often paired with something from Target or Old Navy. But, since I’ve been on a mission to downsize my belongings, I’ve begun to really think about the items I own that I held onto to determine why they’re so valuable to me. What I’ve found is that, although an item’s value (as perceived by me) is rarely tied to its actual monetary value, there are a few things that, if I were forced to replace them tomorrow, I would totally shell out some money in order to get a replacement of equal quality. And that’s especially true this time of year, when it’s chilly out (yes, even in Florida!) 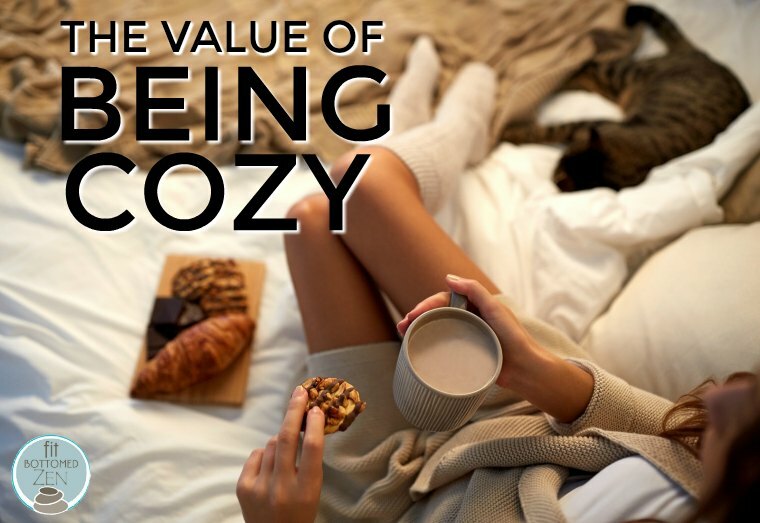 and all I really want is to surround myself with all the cozy things. I’m reasonably frugal, so on one hand, I can make the argument that it’s silly to spend a real chunk of change on something that only gets used by me within my own house. Some might argue that the money would be better spent on, say, a stylish, designer purse that I’ll wear out and about. However, I’m a huge proponent of calculating cost per wear (or cost per use, as the case may be). And with the items below, you can trust me when I say that my cost per wear is probably in the “just a few cents” range at this point. For real. And that’s some serious value. My house has mostly tile floors, and I have mostly cold feet — like, my toes will be icy in the middle of a Florida summer. 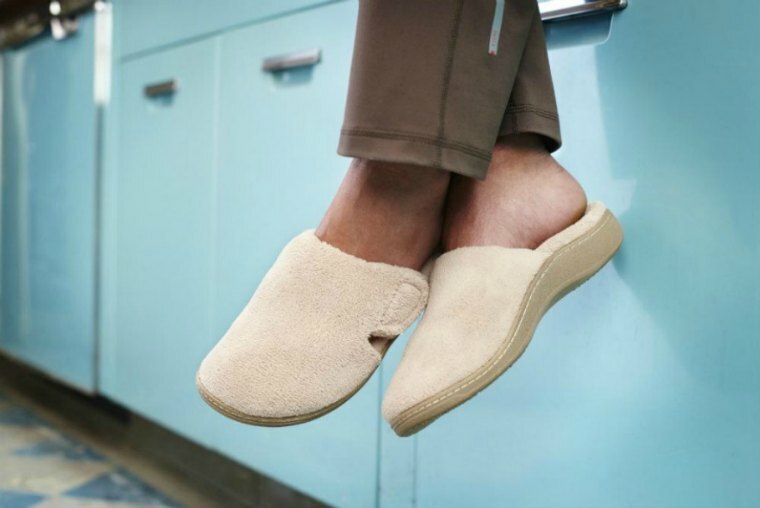 So I wear warm, cozy slippers year round, and when Vionic offered to send me a pair of their Gemma Mule Slippers ($59.95), I thought, hey, that’s perfect. The closed toe means my toes stay warm, while the open back allows a bit of airflow, which is awesome on days when it’s not totally frigid. And I’ve long been a fan of Vionic slippers because, since I often wear them throughout the day (woot woot, perks of working from home! ), having some real support and stability is really important. (I’ve had a pair of the Vanah Boot Slippers for, I don’t know, years — and worn them nearly every day. And those are currently on sale!) Because, sure, you can get a pair of warm, fuzzy slippers for just a few bucks, but do you really want to walk around in them all day long? Nope, you sure don’t. I can’t tell you how much joy I get out of putting on a comfy, thick robe when I first get up in the morning. It makes greeting the morning (because the first order of business is always stepping outside to let the dogs out) so much more pleasant. And it’s not that I have a super fancy robe — it’s bright pink with white dots and I think it came from Victoria’s Secret five or six years ago … and replaced a similar one that I’d literally owned since high school. The key is to find one that’s soft from the start, thick but in a breathable material, and big enough to really wrap around yourself. Using a towel that’s barely big enough to wrap around your body is the worst. Using a towel that’s large enough to dry you off from top to toe and wrap around you with plenty of extra? That is the best. I just find it so luxurious — it makes my shower feel more like an opportunity to be pampered than an annoying necessity. (And I think we all know how much I enjoy turning my shower into a spa-like experience, right?) I have no idea why bath sheets aren’t more common — I mean, I have never, ever heard anyone complain about their towel being too big; have you? But anyway, the next time you’re shopping to replace your daily bath towel, I totally recommend spending a couple extra dollars to get a bath sheet so you can really wrap yourself up in some warmth and self-love after every bath.